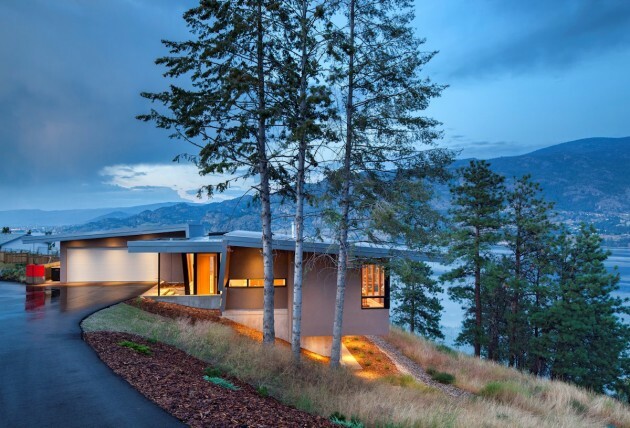 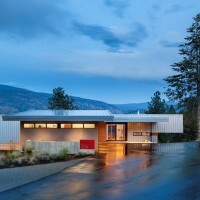 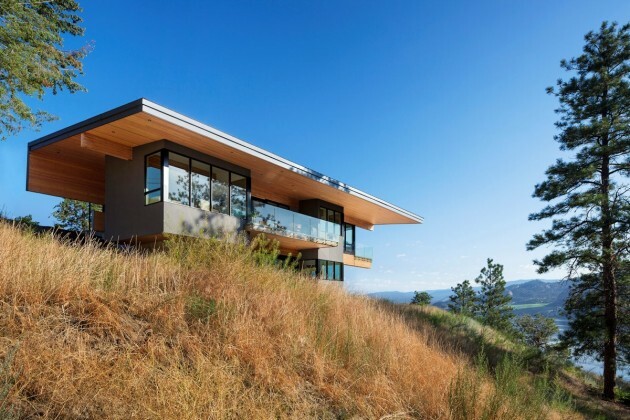 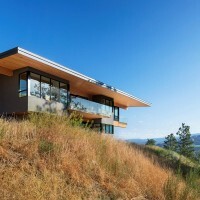 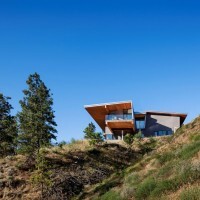 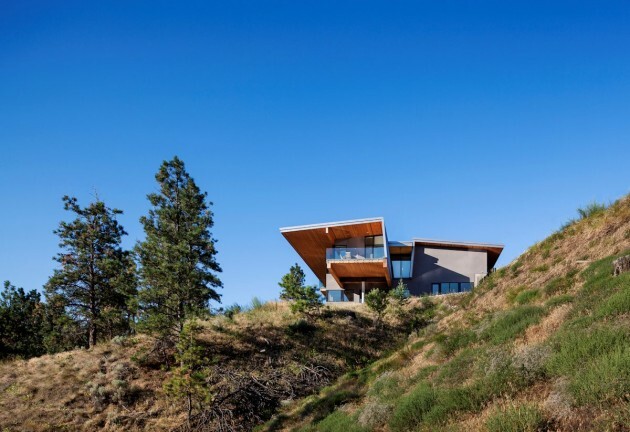 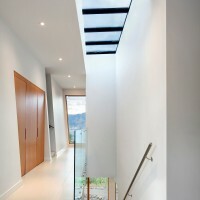 CEI Architecture designed a house for a couple, that overlooks a lake in Kaleden, BC, Canada. 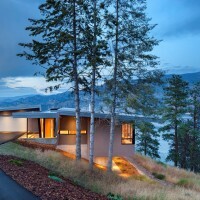 This single family residence sits on a spectacular Okanagan property on the west bank of Skaha Lake. 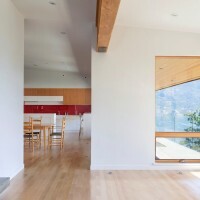 The building is oriented towards the view to the south of Kaleden Village and eastward towards the lake. 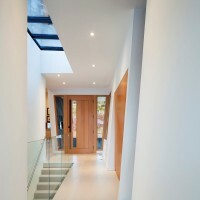 The building is constructed from materials including glue laminated beams, wood decking and TJI’s. 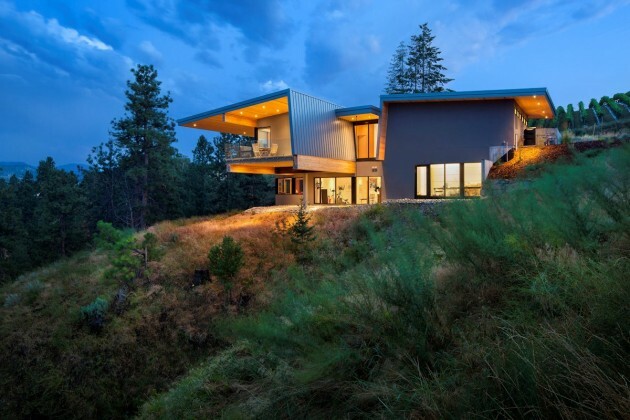 The building is modernistic in its form. 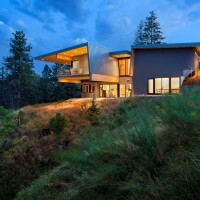 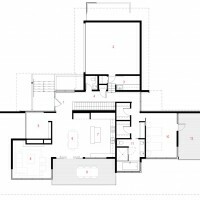 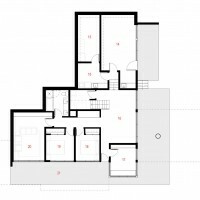 It responds to the unique site and climate and is expressive of its construction methodology.